More than 40 residents were issued a legal summons that had them questioning council at Monday night’s meeting. 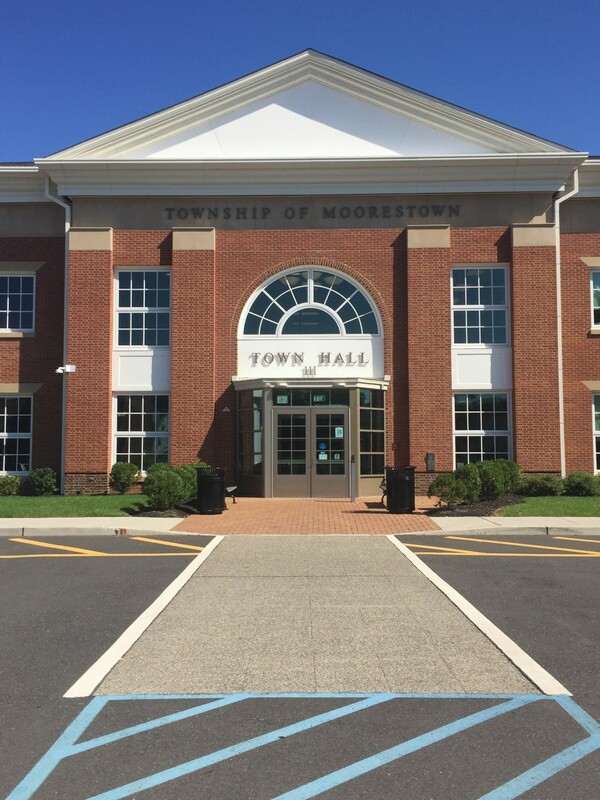 A summons that was hand-delivered to more than 40 Moorestownians on Friday, March 8, had township council fielding questions from residents about why they were issued the legal notice and what council intended to do about it. The summons notified residents whose homes border 160 West Route 38 of Pennrose LLC’s attempts to invalidate a restrictive covenant that limits development on the property. According to the summons, the restrictive covenant put in place in 1945 states that “no dwelling house shall be erected on any area lot having an area of less than one half acre” and “no dwelling house costing less than $5,000 shall be erected on any lot of ground of said premises.” While this covenant is in place, Pennrose is unable to construct its proposed 75 multi-family affordable housing units on the site. The site is owned by APC Associates, LLC., and Pennrose has been contracted to purchase the property. According to the complaint filed with the Superior Court of New Jersey on behalf of Pennrose by their attorneys at the firm Sills Cummins & Gross, Pennrose is seeking to invalidate the covenant on the grounds that, due to the restrictions on lot size and values, the covenant was designed to restrict affordable housing and is therefore unconstitutional. Residents are not being asked for money or action, but rather the summons was issued to every household whose land falls under the current restrictions to inform them of Pennrose’s intent to dispute the covenant. Resident Carol Radomski was the first to approach council with her concerns about the summons and development of the nearby property. She said the restrictive covenant in the neighbor’s deeds is supposed to protect them from development nearby. Radomski inquired if council could enforce the restrictive covenant, to which Mayor Stacey Jordan responded that council does not have control over properties it does not own. Radomski expressed her concerns that she and her neighbors on Meadow Lane may have their street become a cut-through off Route 38 when the housing goes in. She wondered what would be done to preserve the wetlands located on the property and protect the accompanying wildlife. Councilman Michael Locatell assured Radomski that while the township does not have control over the property being developed, Pennrose will be required to address traffic, stormwater management and other potential impacts the site may have on the surrounding area. Locatell said he and Councilman Manuel Delgado met with Pennrose and insisted there be no cut-throughs onto the surrounding streets, with the sole egress in and out of the site to be located on Route 38. He said the planning board will insist on no cut-throughs, buffering and as little impact on the surrounding area as possible. Resident Jeffrey Herb inquired about how the site would have sufficient water capacity. He said when he set out to construct his home on Meadow Drive more than a year ago, he was informed there was insufficient water capacity in the area, and he was uncertain he would make it onto the list. Township Manager Thomas Merchel responded that the township’s water capacities have not expanded since then. Herb also inquired about the housing’s potential impact on his property value. “I built a house that what was obviously nice, so now, if our property values depreciate, is the township going to give us a little bit of a reprieve on our taxes?” Herb asked. Beth McManus, the township’s housing planner, responded by saying studies indicate properties near affordable housing do not typically depreciate in value. She said if Herb’s home does come back with a lower assessment, he can appeal his tax assessment. McManus said residents’ concerns “have not gone unnoticed.” She said Pennrose is only at the concept stage, and when they present their plan before the planning board, residents will be able to make detailed inquiries. Residents have the opportunity to make further inquiries about the township’s affordable housing plan at a special meeting of township council on Thursday, March 15. The next regularly scheduled council meeting will take place on Monday, March 26 at 7:30 p.m.